Approaching the closing stages of the 2018 Formula One World Championship, teams and drivers fly over from Russia to Japan. 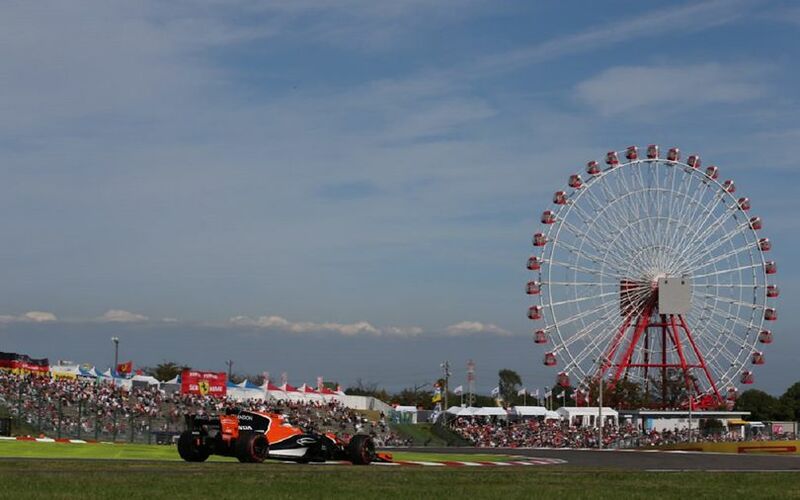 The Suzuka race track will play host to the Round 17 of the season. With only five events remaining and a championship lead of 50 points, Lewis Hamilton can already hold one hand on the Drivers' Championship title. The inaugural Japanese Grand Prix was held at the Fuji Speedway in 1976. The following year saw the field visit the circuit for the second time, but the race disappeared from the calendar for the coming years. Japan regained its place on the Grand Prix calendar in 1987 when Suzuka hosted its first ever F1 race. The track which quickly gained a reputation as a challenging race circuit held the Japanese GP for 20 years. However, the race was held at the Toyota-owned, newly redesigned Fuji Speedway in 2007 and 2008. The 2007 race was hit by heavy rains and subsequent delays and the track was less preferred by the drivers than the Suzuka circuit. In 2009, the race returned to Suzuka where it has remained ever since. Of the drivers, Michael Schumacher is the most successful one on Japanese soil. The German won on six occasions, once for Benetton and four other times for Ferrari. The two quadruple champions, Sebastian Vettel and Lewis Hamilton have both won four times. The German scored all his victories driving for Red Bull Racing while the Englishman split their triumphs between McLaren and Mercedes. Among the two-time Japanese GP victors are Gerhard Berger, Ayrton Senna, Damon Hill, Mika Hakkinen and Fernando Alonso. As far as the constructors are concerned, McLaren leads the way with its outstanding record of nine wins. Ferrari follows the British team with seven victories. Interestingly, the Italians have not won in Japan since 2004. Red Bull and Mercedes share the title of the third most successful team with four wins apiece. Benetton and Williams both claimed victory on three occasions. Renault is the only team with two Japanese GP wins. The Suzuka race track is among the longest circuits on the current calendar with a length of 5.807km. The total race distance is 307.471km which driver cover over 53 laps. The lap record was set by Kimi Räikkönen who clocked a 1:31.540 in the 2005 Japanese Grand Prix. The track layout features 18 corners, of which 10 bends are right-handed ones. Ranked amongst drivers and teams alike as one of the greatest circuits in Formula One, Suzuka is a massive test of both car and driver ability. The first sector is one of the most beautiful sections of the whole year with its incredibly fast, flowing S-bends. Drivers have to nail the first corner perfectly to be able to bring the rhythm all through the first corners. The car has to be well-balanced, an unpredictable rear end could end in speed loss at the mid part of corners while an understeery front end could force drivers to hesitate with applying the throttle out of the bends. The middle part of the track features the famous Degner I and II corners where precision and a good front end are required. After those two turns, drivers fly under a bridge to turn in and brake heavily into a hairpin. It is then followed by a long full-throttle section and the fast spoon corner. It is important to apply the throttle as soon as possible out of the exit of the spoon corner because drivers find themselves once again on a lengthy section where they apply the throttle pedal to its very maximum. The famous R130 corner became a bend without braking in qualifying trim. In contrast to the medium and high speed nature of the previous track sections, the circuit ends in a uncomfortable chicane where drivers have to throw their cars over the high kerbs to get a good exit onto the start-finish straight. Drivers only apply the brake pedal six times and only two of them are heavy ones. The distance from the pole position to the apex is 405m. The time loss for a pit stop is relatively little at Suzuka, drivers have to adhere to the speed limit of 80kph over a stretch of 392.2m.